Tommy Hilfiger is one of the world’s leading designer lifestyle brands. The autumn collections of the well-known American fashion brand are inspired by the lifelong passion of Tommy Hilfiger for rock and roll, with a touch of glamour and vintage nostalgia. A perfect match with Kris Kross Amsterdam! 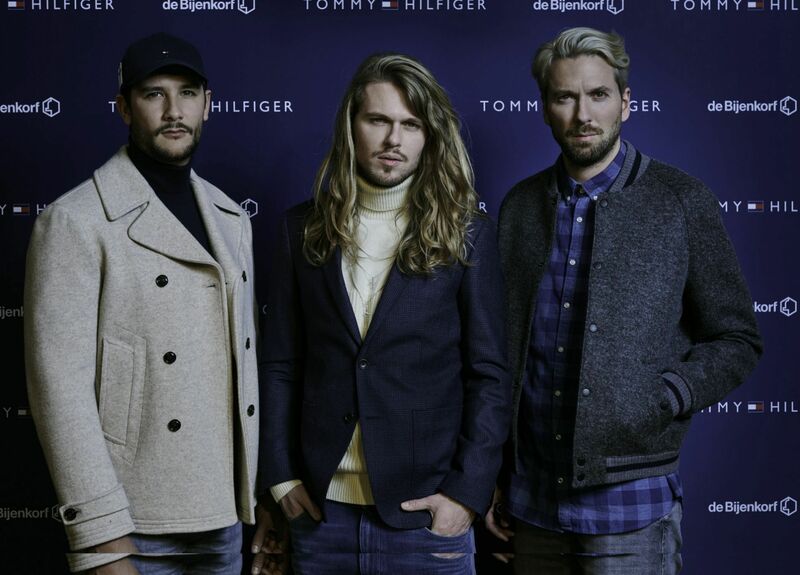 Tommy Hilfiger had put their focus on menswear for the fall of 2017 and to promote their collections in the Netherlands the boys from Kris Kross Amsterdam were chosen to become the brand ambassadors. The goal Tommy Hilfiger had, was to promote their menswear collection among a young target group. The collections were shown on the catwalk for the first time at the TOMMYNOW event, during the London Fashion Week. Kris Kross Amsterdam attended front row to see the new collection. Tommy Hilfiger also did a fantastic shoot with KKA for JFK magazine. The magazine came out at the same time with the launch of the collection in the stores. The collection was festively presented with an event in the Bijenkorf in Amsterdam, where Kris Kross Amsterdam performed and held a Meet & Greet with fans. For the event, Tommy Hilfiger made special limited-edition caps and gave them away to fans who attended. Afterwards, the collection was shown for two weeks in the Bijenkorf. Tommy Hilfiger also dressed Kris Kross Amsterdam for their own Amsterdam Dance Event show in the Chicago Social Club. The campaign led to nearly 115,000 impressions on Instagram, more than 105,000 views on Facebook and a total of 13,335 people clicked and responded on social media.